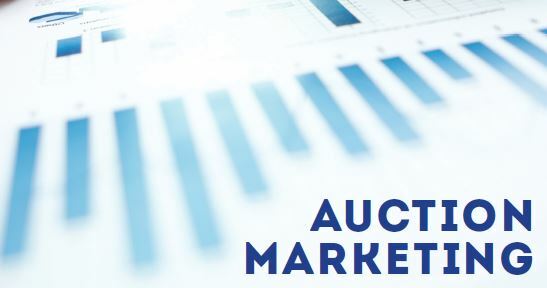 Many auction firms today can’t afford $20,000 or more in marketing campaigns to establish a name for themselves — or earn new business — in their communities. The good thing: they don’t have to. Today’s marketing opportunities are often inexpensive and effective. The use of several low-cost marketing techniques will probably produce similar results as pricey promotions, such as public relations campaigns and TV advertising. Business cards might be among the oldest marketing tricks in the book; however, they still work. And with online business card production and printing as low as $10, to start, through companies like Vistaprint.com, they’re a great value. Another thing to consider as a business card is a similar-sized magnet, as these giveaways are often valued by customers who place them on their refrigerators. If your business vehicle features advertising for your auction company, it’s not a bad idea to stick about 10 “giveaway” magnets on it. Park your truck in a public parking lot for an hour or so — with magnets on the tailgate — and you might be able to pick up a few new consignors. Also, don’t underestimate the value of inexpensive stickers to give out to auction attendees or buyers at checkout. Many customers these days, especially those who are not familiar with your community, are probably finding auction professionals through online search. Check out the April 2013 issue of Auctioneer to pick up some best practices for search-engine optimization in “10 ways to improve SEO.” The higher your page rank, the more likely you’ll be to earn buyers and sellers. Create a blog, add maps, use social networks and consider descriptive URLs to attract customers. Also, consider creating an online forum on your website just for your customers. Answer their questions and let them provide feedback through a portal controlled by you or a member of your auction staff. Other inexpensive ways to market your business include auction calendars and electronic newsletters. Members of the National Auctioneers Association can post their auctions to the NAA Auction Calendar for free, and members also receive generous discounts on Constant Contact email marketing software. Members of the NAA and state Auctioneer associations already know the value of professional affiliations; however, don’t forget to stay involved in groups that represent, or reside in, your local community. These might include chambers of commerce, political groups, churches or charitable organizations. Volunteer your time to groups that provide speaking opportunities or that agree to recognize you or your company for your service. It also might be a good idea to purchase a booth at local trade shows and state fairs. Don’t look at these opportunities as chances to place pamphlets and advertisements in front of attendees. Rather, provide education on the auction business, offer free bid-calling lessons or display some popular items coming up for auction. Consider “cause marketing,” a campaign that supports a charitable cause while at the same time promotes your auction services and increases awareness and loyalty among community members. Some ways to connect with your community include sponsoring children’s sports teams and making other donations to charitable causes. You can always conduct fundraising auctions at your facility. Whatever you do, be sure to write news releases after the events and send them to local publications, radio stations and TV affiliates. It’s not too difficult to stand out in a crowd given some of the cost-effective technologies available on the Internet. Consider do-it-yourself logo creators, toll-free numbers and virtual offices. Some popular logo creation sites include Logotournament.com, Logomaker.com, Elance.com, Hatchwise.com, 48hourslogo.com and 99designs.com. Services like Evoice.com get you started with free trials of telephone numbers, and Regus.com provides an opportunity to set up virtual offices. Have you ever considered a loyalty card? It could be a great low-tech way to keep customers coming back, similar to those cards used by grocery stores, sandwich shops and gas stations. Consider a 10-percent discount for every $100 spent, or, offer to drop the buyer’s premium every 10th purchase (up to a certain dollar amount). One thing auction professionals could offer loyal buyers is a gift card program. Encourage your buyers to purchase $10, $20, even $30 gift cards and suggest they give them to friends and family as gifts. It would be a great way to get new buyers to your auctions, and it’s a potential way to encourage higher bids. At registration and at checkout, be sure to display flyers and postcards for upcoming auctions. If it’s an estate sale, then it might be a good idea to promote the same type of event, but don’t limit your marketing to auction type. An attendee who just purchased $100 in coins also might be interested, or might know someone who is interested, in farm equipment at next week’s auction. Also, harness the power of email marketing. Be sure to ask attendees to opt-in to your company’s email lists at registration and at checkout. On non-auction nights or an hour before an auction begins, consider offering free bid-calling classes to members of your community. Encourage them to have fun by teaching them tongue twisters and the basics of the auction chant. Encourage them to return week after week with the promise of advanced training or time at the microphone through amateur bid-calling contests. You also can teach attendees about the basics of buying and selling at auction at open houses throughout the week. Give people a tour of your auction facility so that first-time buyers and consignors feel less overwhelmed with the auction process. In addition, consider promoting yourself as a thought-leader in your community by sending regular columns to local editors. Even if you don’t write about your auction business, your regular presence in local publications will certainly bring good name recognition. Finally, don’t underestimate the power of a positive testimonial about you, your auction business or an employee. Attach comment sheets to buyer and seller forms, and be sure to ask satisfied customers for permission to post their reviews on your website, in advertising and in company newsletters. Encourage loyal customers to submit reviews of your auction business on websites such as Yelp.com. Also, place testimonials on you company’s social media platforms, especially LinkedIn and Facebook.